Daniel P. O. Wiedemann, is currently working as an Art Director Experience Design for the advertising agency Heye & Partner, Hamburg, which belongs to the DDB network. His work is focused on software development like iPad and iPhone apps, web applications and installations as well as art direction with a specialisation in motion design. He has recently worked for clients like Mc Donald's, Casio, Granini, Montblanc and Johnson & Johnson. 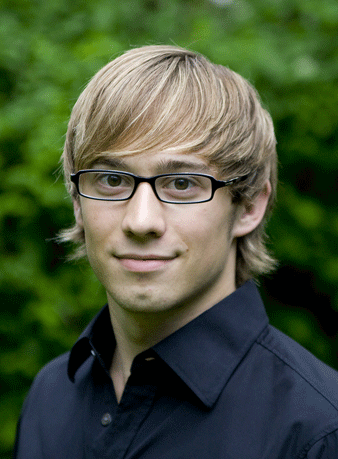 Daniel studied Communication Design at the "Akademie an der Einsteinstraße U5", from where he graduated in 2009. He complemented his studies with training for conceptional thinking at the Text-College Munich. During his studies, Daniel recieved the MedienCampus Bayern award for animated films. After graduating from college in 2005 (Abitur), Daniel studied design and advanced web development during a Harvard summer school year. Back in Munich he worked for the Microsoft partner netAttack on developing web applications for several clients.